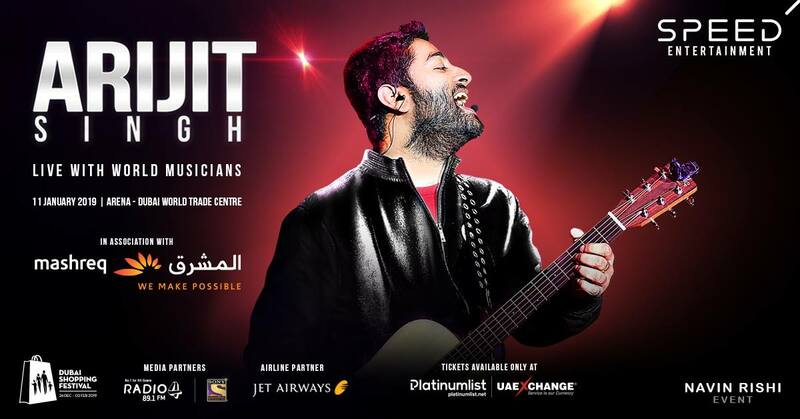 The king of romance Arijit Singh will perform live on January 11 at the Dubai World Trade Centre Arena. Indian singer and composer has won several awards including Zee Cine Awards, Filmfare, IIFA, and Screen Awards. His voice gives life to a song and gets immensely hit among the listeners. His songs, in particular such hits as Tum Hi Ho and Chahun Main Ya Naa, are loved by fans and many of them can often be heard in Hindi cinema.